There are also 2 novellas. See Reading Order Here. Source & Format: St. Martin’s Press via Netgalley–eARC | Thank you St. Martin’s Press! 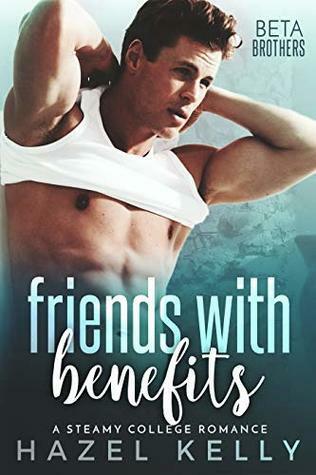 It’s been a long time since I’ve read a strictly adult contemporary romance that wasn’t labeled as a “steamier” selection, so I was excited when the opportunity came along to read Laura Trentham’s new series, Cottonbloom Novels. I wanted a contemporary romance that focused on the characters and their connection to each other–not simply a matter of getting each other into bed. While I normally don’t go for second chance romances, the synopsis gave me the impression that there was more at play in Kiss Me That Way and I was looking forward to finding out what it was. Nothing gets you attached faster to characters than a great setting, which this series provides. Cottonbloom is such a fun, crazy little town that readers will fall in love with. Forget the “wrong side of the tracks” motto, this is all about the “wrong side of the river”. You essentially have a town split in two thanks to the river and that makes for some great, “forbidden” romances and connections. It makes the story a little lighter, providing an upbeat vibe to the somewhat darker stories of Cade and Monroe. Trentham does a beautiful job elaborating on this throughout the novel and you can see how the setting weaves together the next two novels in the series. I loved the pace of this novel. There was great character development on all fronts–including the secondary characters, which is important for the next two novels. And when Monroe and Cade weren’t learning more about themselves or their families, their romance was so sweet to watch unfold. But what I really loved was the overarching plotline of the festival. Like I said before, it gives the story a happier vibe without taking away from Cade and Monroe’s past. It also ramps up the anticipation for the rest of the series–which I cannot wait to see! While the character elements of Monroe and Cade are ones I have encountered before, I still found their characters to be unique and genuine. You can’t help but root for them to succeed in whatever they want, whether that’s love or family matters. Before I started, I worried that Monroe might be a stubborn woman who resisted all help because she was “independent” now (if that makes sense) and I find those types hard to immediately connect with as a reader. But that honestly wasn’t the case. I really liked her from start to finish. She was strong and smart and perhaps a bit stubborn, but not to the point where it was frustrating. She also didn’t become some simpering fool the minute Cade walked into her life again–she kept true to herself and her independence and I really respected that. Normally, second chance romances aren’t my thing but I truly enjoyed this one. These two had great chemistry from the get-go which made it so much fun to watch. It’s a bit of a slow burn, but I definitely enjoyed every minute watching these two come together. With the little tastes of everyone we got in this first book, I am dying to read the next two! Kiss Me that Way served as a great introduction into this series, and I can’t wait to see how the next two build on it! This book was everything I wanted it to be…and a little more! I had just finished the second chapter when I realized I LOVED Nash! He was so sweet and so adorable that I immediately added him to my select list of book boyfriends. It was so refreshing to read about a hero who wasn’t totally confident in himself and I loved watching his character grow. Tally was also fantastic. Her growth and self-discovery throughout this novel made it a treat to read. They complimented each other so well which made the romance awesome to read. They had a great connection and palpable chemistry that I loved all their scenes together. I enjoyed this novel from start to end and highly recommend it to contemporary romance fans! This story has been building from the very first Cottonbloom novel and building throughout. So I had high expectations going in…and every one was met! The tension between these two was sizzling off the pages! I loved watching them reunite and battle all the obstacles in their way. 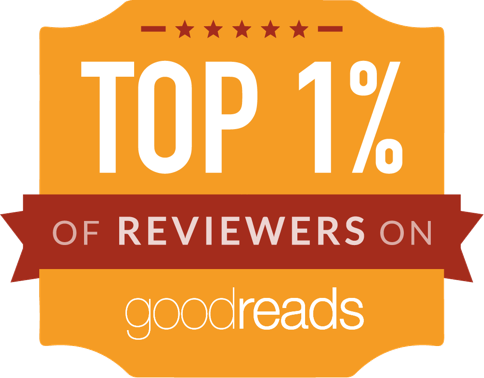 It was absolutely perfect–everything fans of this series will want! Not only was the romance really strong, but the drama plot line was also fantastic. I loved the mystery/suspense aspect to it. It kept you interested as a reader and balanced out the romance beautifully. Overall, it was an AMAZING way to end this series! I will definitely be checking out more books by Laura Trentham in the future! When I learned that there would be new books in the Cottonbloom Series, I thought it was a joke. A very cruel joke because I absolutely loved this series and it was a highlight of my 2016 summer. I adored Leave the Night On. It has one of my all time favourite tropes, the fake relationship, and it is executed flawlessly. These two has sizzling chemistry from the start and I loved watching them fall deeper and deeper for each other. They were perfect for each other and I couldn’t help but root for them to get together. And the plot was excellent as well. It had that perfect balance between character development and romantic development. These two had a lot of growth to do as characters and I loved that they did so not only together but independently as well. I had a very hard time putting this one down! And of course, we got just enough of a taste of what’s to come that I cannot wait until the next Abbott brother gets his story. Again, another great installment in this series! Ever since we met these two, I’ve been waiting for their story and I wasn’t disappointed! I loved every scene with these two. They are absolutely adorable together! You could cut the tension between them with a knife. Those secret looks between them had me melting every time. These two were just a perfect compliment for each other. But there was something about the pacing of this book that didn’t win me over. I think I wanted more build up with the romance instead of it just falling into place. I felt like their connection relied a little too much on the previous book; even if they did have very cute scenes together. The dramatic plot also seemed to have an odd way of building. It felt a little long in the middle and not much was happening. The ending wasn’t overly rushed but I think things could have been teased out a little more in the middle. Regardless, I still loved their story and can’t wait for the next one! This one might just be my favourite Cottonbloom book starring the Abbott brothers. It was perfection from start to end! I simply adored these two leads. Ella is the type of heroine you love to see in a book. She’s strong yet genuinely flawed so she’s relateable. I found her emotions and reactions to things were normal and understandable. I had a really good read of her as a character thanks to her development and her revealed past. Mack is just a sweetheart–and it was nice to see that side of him because for the vast majority of this series, he comes across as jaded and withdrawn. But you see the love he has for his family and his ability to read and understand people. He was so perceptive about Ella’s fears and concerns and I LOVED how he supported her throughout. The pacing of this romance was also fantastic. You have the whole slow burn between two rivals happening and it just brought some delicious tension to the story. Over time, these two start to talk and learn more about each other and it just makes their physical connection that much hotter. I was definitely a fan of these two from the start. This series really wasn’t what I was expecting–but in a totally good way! The slow burn romance intermingled with the character development and overall series plot made this one a blast to read! Definitely a great summer book series to get your hands on!